ANN ARBOR, Mich. — A common technique for determining whether melanoma has spread can be used safely and effectively even in tumors from the head and neck area, according to a new study from the University of Michigan Comprehensive Cancer Center. Sentinel lymph node biopsy involves injecting a special dye to identify the first node where cancer would likely spread. If that node is clean, patients can avoid further debilitating surgery to remove multiple lymph nodes. If that node shows cancer, patients know they need the more extensive surgery or further treatment with radiation, chemotherapy or a clinical trial. Patients with larger melanomas are routinely offered this procedure. But many surgeons believed that the complex anatomy combined with the critical nerves and blood vessels in the head and neck area made sentinel lymph node biopsy unsafe and inaccurate for melanomas in that region. In the current study, which appears online in Cancer, researchers looked at 353 head and neck melanoma patients who had received sentinel lymph node biopsy at U-M over a 10-year period. After reviewing patients’ records, the researchers found that the sentinel lymph node could be identified in all but one patient, and no patients sustained permanent nerve injuries during the procedure. About 20 percent of the patients had at least one sentinel node positive for cancer and were referred for a complete dissection to remove additional lymph nodes. Among the remaining 283 patients with negative sentinel nodes, 12 patients recurred in the region where the sentinel lymph node was identified. This suggests that the test yielded 12 false-negative results, which means a negative test was incorrect 4 percent of the time. This rate is similar when sentinel lymph node biopsy is used for melanomas in other parts of the body. “Sentinel lymph node biopsy is a safe and effective way to determine the status of the regional nodal basin for melanomas affecting the head and neck region. 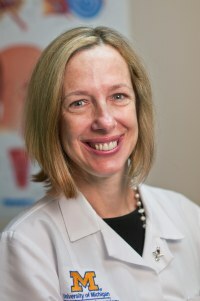 Furthermore, our study showed that it can be done accurately for these patients,” says study author Carol Bradford, M.D., professor and chair of otolaryngology at the U-M Medical School. The researchers also found that sentinel lymph node biopsy was the biggest predictor of how well a patient would do after surgery, including overall survival as well as recurrence-free survival. “This procedure should be offered in patients with head and neck melanomas the same as patients with melanomas in other parts of the body. Not only is sentinel lymph node biopsy feasible and safe in these patients, but it helps determine the best course of treatment to offer patients the best hope of survival,” Bradford says. The authors stress the need for patients with head and neck melanoma to seek out a specialist in head and neck cancer surgery and sentinel lymph node biopsy. The Multidisciplinary Melanoma Clinic at the U-M Comprehensive Cancer Center includes specialty surgeons highly skilled in performing this procedure.